Varun neither belong to illiterate, backward family of India, from poor families, nor from any religious family worshipping in Mandirs. 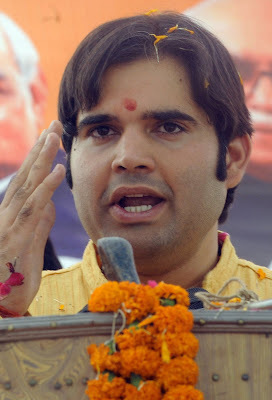 Varun Gandhi is grand son of Indira Gandhi. His father Sanjay Gandhi was successor of Indira Gandhi. When he died in a plane crash Indira brought Rajeev Gandhi is politics. 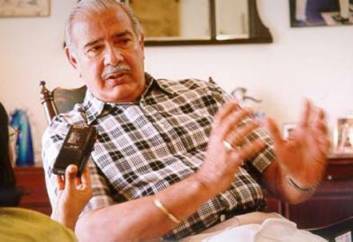 Bad relationships of Varun’s mother “Monica” with her mother-in-law were hidden from the world, however after death of Sanjay these disputes came forward to the world. Initially Monica avoided politics and got busy in Institute for Wild Life Protection. Varun who was born with a golden spoon in mouth was grown up in a such family about which Congress claims from last seven years that they are not involved in religious disputes and are Secular (There is no greater lie then that). But this will astonish most of the readers that Varun who got higher education from of “London School of Economics” entered into the Indian politics in the age of 29 years from the ticket of Bhartia Janta Party in the Uttar Pradesh constituency “Pribhit”. Before this his mama “Monica” won elections from this constituency for national assembly. While this time Monica decided to bring forward his son and that on the ticket of fundamental party like “BJP”? On 24th of March Varun arrived in his area of constituency and addressed a public gathering, Varun said, “Any person living in India who use name of Allah as his identity or claims to be a Muslim should be murdered. Muslims has no place in India, here only Hindus can live or servers of Hindus (lower castes)”. Almost that message was given by Varun to every gathering in his area where he was candidate. Look at the condition of Democracy’s mother secular India and its independent media that no one took notice of it. The limit was crossed when CDs consisting of Varun’s TV speeches footage arrived in market for sale. Before that Muslims of India protested against it Police of Uttar Pradesh registered a case against Varun. When Congress and other parties issued condemning Statements BJP also issued a condemning statement that they are looking in this matter. So BJP will give a detailed statement after this. In the meanwhile Varun called a press conference in New Delhi on 18th March on residence of his mother on Ashoka road and said that the CDs being sold in the market are fake and dubbed. Whatever is being shown is not his voice, and he also said stressfully, “I am proud of being a Hindu, I am neither concerned with other religions nor any objection of their living in India. But this is also reality that we Hindus have been taken as hostages within our own country”. Readers General Primnath Hoon who created terrorists within Indian Army also talks like that he has no complaint to Indian Muslims, but they are being used by Pakistani agency ISI against India. To tackle this "we" Indian soldiers have trained suicide bombers. This was told to TDM by General Hoon when they met him for interview. General Hoon ended the talk by saying that, "The Pakistanis have disturbed the internal peace of India and my "suicide squad" is doing same in Pakistan". According to research team of TDM General Hoon was stressing that his men only operate in Pakistan. They are not involved in any activities within India. The team of TDM arrived at the village of Lt. Colonel (Rtd.) Janeet Rao Sheetal in Amarnath. Kavita returned back after showing them their destination. Amarnath village is 50 Km away from Mumbai. Here Colonel Sheetal has established Training Camp of terrorists. Kavita had told TDM that in 2002 Colonel Sheetal and his colleague (retired officer of air force) Sanjeo Aatri were arrested for a bomb blast in Muslims gathering. They were freed after pressure from RAW. On the meeting Colonel accepted that he was arrested due to misunderstanding in 2002. He told representatives of TDM that in order to face extremist Muslims he has formed "Maharashtra Military Foundation" to train suicide bombers but it is a secular institution. Here including Hindus young people of other religions get training. Colonel Sheetal told that one week ago a group of 30 suicide bombers has completed their training. Sheetal complained that he has written letters to Indian Prime Ministers and every upcoming Army Chief that it is necessary for India to train terrorists in order to face terrorists. Colonel Sheetal supported General Hoon's stance that in order to tackle activities of ISI in India it is necessary to reply Pakistan on its own soil. The Daily Mail (Indian Newspaper) writes in its research report, "Major General Amarnath Hoon and Major Janeet Rao Sheetal laid foundation of training camps in Tamil Nadu, Karnatak, Kerala, Uttar Pradesh and Delhi for terrorism and rebellion in Srilanka under the order of Indra Gandghi. These military officials were working on "Deputation" in RAW. Under their guidance Tamils were given abundant light weapons and wealth. Special Tamils were sent to "Indian Military Academy Dehra Dun" for further training. During this Major General Hoon was raised to designation of Lt. General and was made Chief of Western Command. In 1997 RAW decided to setup training camps under the supervision of trained military personnel for terrorism in Pakistan. Showing pleasure over the decision of RAW Rashtria Sevak Singh, Bajrang Dal, Dargah Wahni, and other extremist Hindu movements gave their men to RAW for training. After 2001 under the umbrella of America RAW got chance to establish itself in Afghanistan, so young people of Pakistan were transferred to these Indian camps whose surroundings were like mountainous areas of Afghanistan under the name of providing jobs. Pakistani men thought that they are within Afghanistan, however they are kept separate from Hindus in camp and were trained for terrorism after "Brain Washing"". The duty of these trained terrorists from these camps is bomb blasts in Pakistan, target killing, destruction of important buildings and installations, and supporting internal disputes. But India or "RAW" failed to get significant results after this General Hoon was transferred to terrorist camps against Pakistan and all these camps were given under his command. General Hoon requested that Major Sheetal (he had been already promoted to Lt. Colonel Designation) should be posted along with him as helper. With the arrival of General Hoon and Colonel Sheetal the performance and ability of these training camps improved. Several activities of terrorism in Pakistan were conducted under General Hoon and Colonel Sheetal. Keeping in view these successes General Hoon and Colonel Sheetal advised Indian govt. that in order to defame Pakistan and ISI the terrorist activities should be conducted within India. Indian army and RAW at once accepted this (RAW had been already conducting such activities). For this it was necessary to convince extremist Hindu movements. however in order to avoid black mailing from famous extremist Hindu extremist Hindu organizations foundations of parties like "Hindu Jigrannath" and "Safron Tigers" were laid and with this the terrorist activities in India were initiated. Sometimes in crowded markets or in the mosques many bomb blasts happened. India media at once started blaming ISI and Pakistan in such a way that international community got convinced that even if ISI is not involved in such attacks at least some Pakistani religious party is involved. The report of "Federation of American Scientists" is also involved in the report of the "The Daily Mail". In this report it is clearly mentioned that in order to defame Pakistan India is murdering its own citizens. No matter if this included even Hindus. That style of terrorism got so many acceptances that Indian politicians had to look towards General Hoon and his colleagues for success in elections. 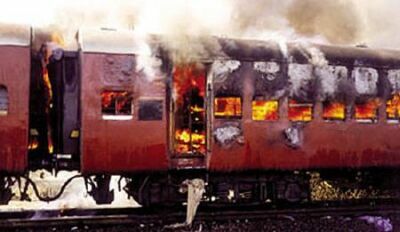 In 2002 as soon as train Godhra railway station 6 bogies were burnt to ashes. The chief of investigation committee Justice G.T. 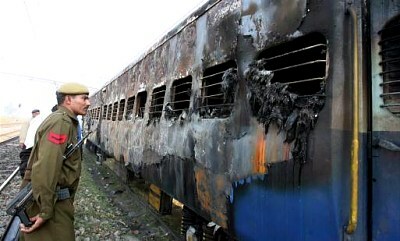 Nunavati writes in his report, ""Muslims are not involved in burning of train and they were not put on fire from outside. For this fire such chemical or fluid was present within train which burnt 6 bogies/carts at once. Now think about fire in train and acceptance of Colonel Prohit". Such a damn act was done by trained terrorists of General Hoon on the will of Chief Minister of Narindra Moodi of Gujrat and his followers massacred Muslims. As a result the popularity of Narindra Moodi went to extremes. Hindus respect him as god and now he is candidate for the designation of Prime Minister. The benefit of hatred against Muslims is taken by new entrants like Raj Thakre son of Bal Thakre or Warun Gandhi. 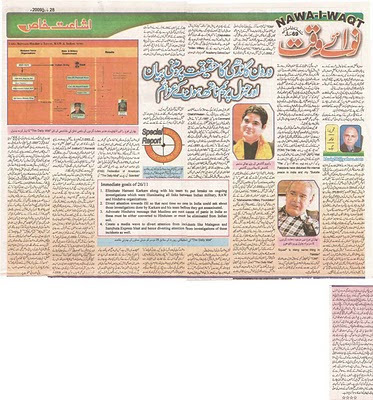 the process of defaming Pakistan by conducting activities of terrorism might had continued if Chief of Anti Terrorist Squad Maharashtar had not stood in the way of joint inhuman activities of RAW, and Extremist Hindu movements. Hemant Karkare knew that if Indian army and RAW had not interfered and Colonel Sheetal haven’t been freed in 2002 then world had come to know the terrorist activities of RAW and Indian army. wife of Karkare tried much to convince his husband that he should not play with fire. but he was good in decision making and working on his decisions. he did not listen to his wife and arrested some important Indian politicians along with on duty Colonel Sheetal and also succeeding in making them accept there crimes. on the 8th October 2008 every headline of every newspaper was yelling, "that fire in train (Samjhota Express) which departured with Pakistani passengers, bomb blasts in Maligao and bomb blasts in city of Jay Pur had been conducted by Colonel Prohit". on the first stance Indians were not able to decide how should they react because before this Indian govt. and media has been telling them that Pakistan and ISI are responsible for terrorism in India. but here everything was against it. L.K. Advani, Bal Thakre, and other Hindu extremists threatened Hemant Karkare. Indian army and higher officials of RAW tried to convince Karkare that he should not further intensify that problem and should stop. he should retire. but he did not accept. perhaps he had decided to unveil hidden terrorists within Indian army. in a press conference on 15th November Karkare talking about threats to his life told journalists that many other terrorists within Indian army are yet to be arrested but research has been completed. very soon these officials involved in terrorism will be arrested. the names of Colonel Ranikar, Colonel Lehs Mukh Patel, Colonel Bipadatya Dhar are on top of list. they all were involved in Bomb blasts in Maligao to fire in Samjhota Express along with Colonel Prohit. they all were supervised by General Hoon. more proofs are being collected against them and Army Chief along with Prime Minister have been informed about it. The press conference of Hemant Karkare made Indian army and RAW impatient. they decided to murder Karkare along with his colleagues in such a way so that Pakistan could be blamed for it. they planned an attack. on 26th November when journalists arrived on the terrorist attack site along with their pens and cameras Hemant Karkare had been murdered. the capture of Hotel Oberoi and Taj Mahal had been ended on 27th November but people were not ready to believe in the story of murder of Karkare in the hands of terrorists. In order to convince world that bloody game was extended for 72 hours. but now Hindu leaders have started accepting that murdering in the initial stage of Mumbai attack was a fault. Readers the report of The Daily Mail is much lengthy and it is not possible to cover it one article. but in spite if its summarization it is clear that joint venture of Indian Army and Hindu extremists has become a threat for Muslims and non Hindus of India and Pakistan. this could be countered through unity in Pakistani nation and a unilateral policy for India. 1. 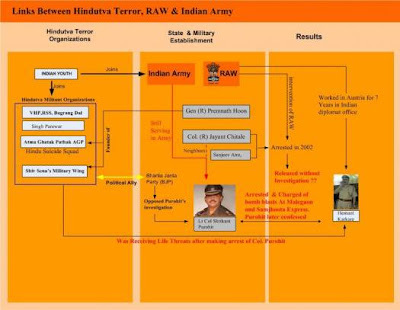 Eliminate Hemant Karkare along with his team to put breaks on going investigations which were illuminating all links between Indian Military, RAW and Hindutva Organisations. 3. Advocate Hindutva message that Muslims are root cause of panic in India, so these must be either converted to Hinduism or must be eliminated from Indian soil. 4. Create a media wave to divert attention from incidents like Malegeon and Samjhuta Express and hence diverting attention from investigations of these incidents as well.